In the light of awesome, we are all magnificent. Shining brightly. Shining. Lights. Of love. Of hope. Of joy. Of possibility. In the light of awesome I find myself shining as bright as I can, as bright as I am in this moment right now. No negative thoughts sneak their way into my mind. No put downs find space to shadow my belief that just like you, I am a gift of humanity, doing my best to be my best so that all the world around me can experience my awesome, not my mediocrity. In the light of awesome I feel my heart beat wild and free. Fierce and strong. Steady and wise. I feel my body standing tall, not fearing I am too short, too old, too young, too thin, too wide, too worn out or too insignificant to make a difference. In the light of awesome I know, I am the greatest gift I can be in this hurting, wounded world when I let go of feeling helpless. I am my best when I give into the urgings of my heart to shine bright, shine on, shine fully for all the world to see, there is a way out of the darkness and the way is found when each of us takes responsibility for shining our brightest so all the world can see the birthright we are born to be is AWESOME. MAGNIFICENT. In the light of awesome I am, MAGNIFICENT! In the light of awesome you are, MAGNIFICENT! It is who we are. Who we are born to be. Born as. Born into. Born to remember. Our Being MAGNIFICENT. Claim your magnificence today and let go of connecting through mediocrity. Let go of playing small. Playing anything other than, your MAGNIFICENCE. Be Unstoppable: Walk proud. Live strong. There is something deliciously satisfying about the thought of getting even with someone who has caused you pain. Yet, no matter how pleasing the thought, the act of getting even is fleeting, illusory, unfulfilling. The only thing that getting even does is lower you to someone else’s level. It does not bring you lasting peace. And it definitely does not change whatever happened to cause you grief. When the man who was actively engaged in making the ‘death’ part of his promise to love me forever was arrested, I desperately wanted to make him pay for all the pain and horror he had caused in my life and the lives of those I love. I wanted him to feel my pain. To know the totality of all that he had done. There was nothing in this world that I could do that would cause him anguish without also causing me pain. To get even with him I would have to have contact with him. And that was not healing, safe nor smart for me. Nor would it have accomplished my goal. He did what he did because that was a reflection of who he is, where he lived, how he walked through this world. I’d been there long enough with him. I had no desire to go back. Admittedly, there were moments where my thoughts drifted into gleeful persecution of him. Occasionally, to relieve the pressure in my mind and heart, I would stand in the shower and imagine dipping him in a vat of hot tar, dousing him in feathers and then rolling him up in one of the priceless rugs he so loved and running over him with one of those big road paving roller machines until he was as flat as Wiley Coyote of cartoon fame. And that would be the end of that. I would let the warm waters of the shower wash over me and wash all thoughts of him down the drain. Cleansed of my need for revenge, I would return to finding my path out of the darkness into the light of living peacefully with all my heart in the now. Living peacefully with all my heart in the now was my truth. My life. My way. Thoughts of getting even with him only kept me stuck in his truth, his life, his way. We all have moments of wanting to slip off our road of integrity into the muck of someone else’s bad behaviour. Don’t do it. Don’t give into the pull of getting even. It will only leave you wearing the dirt of the past and feeling the anguish of someone else’s choices ‘back then’ in the here and now. If the lure of getting even grows too strong and you feel yourself succumbing to its call, take a shower. Just for a moment, let your mind wander as far as it must into the imaginary world where your getting even sets things right. And then, lovingly bring it back into the present. Be unstoppable in your desire to walk tall and proud. Be unstoppable in living this one wild and precious life with all your heart beating strong on the high road of your integrity. Walk proud. Live strong. This post is in response to today’s one word – Daily Prompt. Unstoppable. 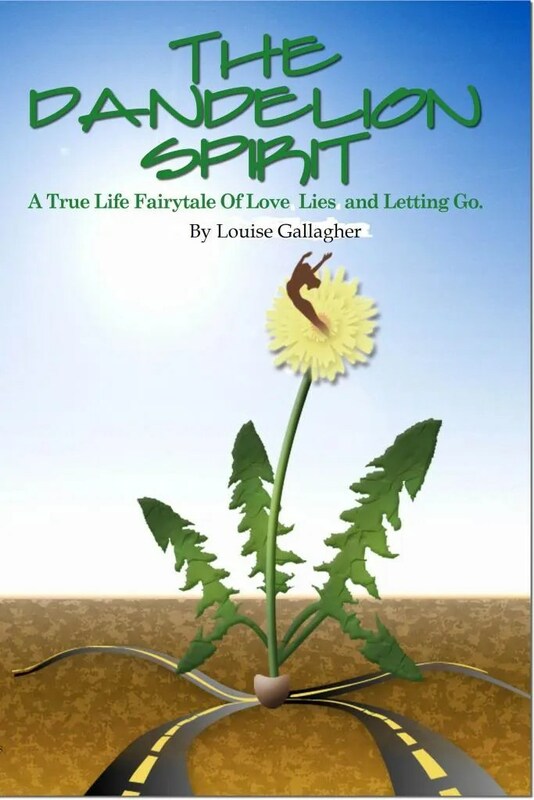 Categories: Essential Journey | Tags: be bold, dare to forgive, forgiveness, getting even, letting go, walk proud | Permalink. A mother duck, five ducklings and the driver who stopped. It is a beautiful sunny evening. I am driving along a busy freeway, cars to my right, guardrail on the left. I am keeping pace with the white car about 3 to 4 car-lengths ahead of me when I notice he seems to be slowing down. I ease up on the gas. Suddenly, their brakelights flare and he stops, dead, in the lane. I pump my brakes praying the driver in the pickup truck behind me is paying attention. The car that has stopped slowly begins to ease into the emergency vehicle turnoff to pull a U-turn. I have slowed down enough to be able to squeeze around his read-end and keep moving along without rear-ending him. Accident averted. Traffic keeps flowing. I breathe. Think not so nice thoughts about the driver who decided to pull a U-turn on a freeway and remember to breathe again. Can’t change what he did. I can change the not nice thoughts I’m having about him. Bless him. Forgive me. I am alive. No accident. All is good. But the incident sticks with me. How did I know he was slowing down even before his brakelights appeared? How is it I was able to anticipate his next move? And I remember back to the weekend. As I drove home from a romp at the park with Beaumont, the car in front of me stopped in the middle of the road for seemingly no reason. I stopped. Waited. I wonder why we are stopped in the middle of the road. There must be a reason I tell myself. And then the reason appeared. A mother duck and her five tiny ducklings waddled out from in front of the car in front of me making their way to the other side of the road. They were so cute! So adorable. Pushing and shoving and leap-frogging over each other. I laughed and smiled and silently thanked the driver in front of me for the opportunity to experience such a delightful scene. It was only a few days later the driver pulled the U-turn on Glenmore Trail. My mind still held the imprint of the ducklings waddling across the road. Curiosity was still awakened when the driver began to slow down. Intuitively, I noticed the emergency vehicle turn-off to the driver’s left. Intuitively, I was prepared for the driver to do something that from my position in my car, did not make sense, but to him, lost, listening to Siri give him directions, going the wrong way on a freeway (or whatever was going on), it made perfect sense. Life and death consequences were far from his thinking. Getting to where he wanted to go was the focus of his attention. So often, we encounter someone so fixed on what they are doing, where they are going and their need to get there that they are unconscious of the impact of their actions. So often, we do not have time, nor the power, to awaken another to the potential impact of their actions. All we can do is respond. How we respond is our choice. I cannot see and often do not know what motivates others to do the things they do. All I can do is be aware, prepared, conscious. All I can do is respond in ways that do not conflict with my desire to live my life with peace of mind and a loving heart. Had I not been paying attention, had I stayed in disbelief that he was pulling a U-turn on a busy freeway, the outcome would have been much different. Believing he was doing what he was doing, gave me the space to respond in a way that created value in my life, their life and the lives of the drivers behind me. I am grateful to that mother duck and her ducklings and the driver who stopped. They reminded me to pay attention. To be conscious of the world around me, and to trust my intuition. And they reminded me of the miracles all around. It was a miracle I did not hit that car. I am grateful. Categories: Essential Journey | Tags: gratitude in the fast lane, living a conscious life, staying conscious | Permalink. Blaming our actions on someone else’s doings, however, is just another way of staying unaccountable for ourselves. It takes the sting out of our not living true to our principles, beliefs, integrity. Let go of finding fault for yourself in someone else’s actions and let being kind, doing no harm be your guide. Ask yourself, is my response creating more of what I want in my life? Will this get me more joy, happiness, love, peace? If it won’t, then ask yourself, What can I do differently? It’s not that you’re making someone else’s bad behaviour okay. It is never okay when someone does things that hurt or harm. Behaving badly because they did is not a good reason for living life outside integrity. You can still hold them accountable for their behaviour and be accountable for your own by not blaming them for your poor responses — and when we are 100% accountable for how we behave, and focus on Do No Harm we create a better world. And we all deserve a better world! 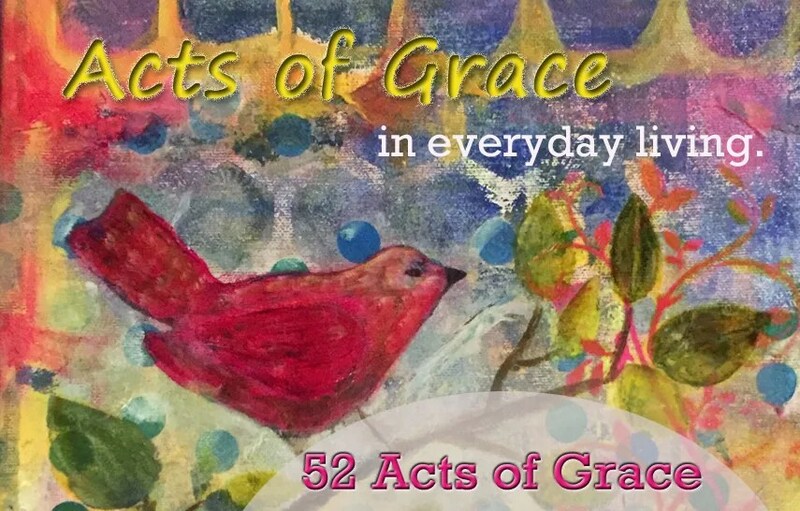 Categories: acts of grace | Tags: Do no harm, loving kindness | Permalink. Life is filled with crossroads, intersections, moments of choice. Which way to go? What to do next? Where to stop? Where to begin again? For the next five days my choices have narrowed down to three very simple rules to follow: Love the people. Love the people. Love the people. I am off to coach at Choices for the next five days. Off to be part of hearts breaking open to beat fearlessly, minds setting themselves free of the past, lives opening up to possibility. Coaching at Choices is always a good reminder for me to get present, get conscious, get compassionate. It is an opportunity to be mindful of my actions, thoughts and words so that I bring my willingness to serve and be present for another into each moment. As a coach, my role is to hold the space for each trainee to trust themselves enough to know, their answers are not ‘out there’, they are inside their hearts. Inside their own knowing of what works, and doesn’t work in their lives. As a coach, I don’t have someone else’s answers. I only have good questions. The answers are theirs. It is one of the many things I love about being in the Choices room. We are all so unique, different, complex individuals, yet, singular in our humanity. We think. We feel. We know things. We see things. We understand things. We act. We speak. We do and say things we mean. We do and say things we regret. We carry our hurts, bury our pain, avoid our fears. We laugh, we cry, we weep, we dance for joy. We do all these things and still, we struggle to find the path to living fearlessly in the now. We look at the past, wishing it could be different, wishing we can have it back. We look at the future, fearing it won’t be different, fearing it will be the same. And in this moment right now, we all have the power to change our minds and hearts to feel and see and know differently what happened in the past, and what is possible in the future. In this moment right now, we all have the capacity to love fearlessly, live wildly beyond our wildest imaginings. Tomorrow, I will step into the seminar room for five days of living and loving fearlessly. Tomorrow, I will step into a circle of people who believe to change the world, we must first begin with our own hearts. In that space, we create a world of possibility for everyone. Today, I am grateful. Excited. At peace. I am present, willing to do my part to change the world one heart at a time by living my life fearlessly, lovingly and compassionately, breath by breath. I am willing to serve and give my best to this moment right now so that my ripple can flow out into the world around me, in Love. I am off to coach at Choices for five days. See you next week. Categories: Choices Seminars | Tags: changing the world one heart at a time, Choices Seminars | Permalink. We know the things we need to do that keep us healthy. We start a regimen, get going and everything goes along swimmingly until a life hiccup interrupts the flow and we stop. We stop exercising daily, writing in our journal, meditating, eating healthily. And resistance rises. Avoidance mounts. Shame grows. Stop the mind chatter. Stop the litany of reasons why you can’t, or how you are such a loser because you never follow through, always fall down, can’t keep agreements with yourself. Give yourself the grace of letting go of ‘the story’ of why not, and begin again. Categories: acts of grace | Tags: acts of grace, begin again, living a grace filled life, stop the mind chatter | Permalink. When I read this Zen Flash this morning, it made me smile. Out loud. All the truth I need to live my life today is here, right now. Truth is, in this moment right now, I am right here, feeling, doing, being, however, whatever I am. Truth is, right here, right now, is all the truth I have to work with. How I respond to, what I do with what is here right now is what makes the difference in how I live my truth, how I turn up in my truth, how I am accountable with my truth. And, how my truth becomes me. I can avoid, pretend, ignore. Or, I can accept, allow, create. Categories: Essential Journey | Tags: being accountable, living my truth, truth, zen flash | Permalink.